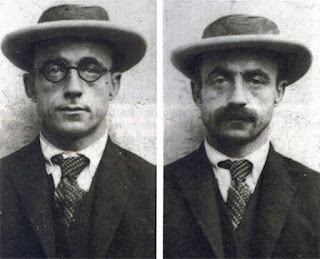 Gino Amleto Meneghetti, a small-time thief in Italy who became a romanticised figure for his criminal exploits after emigrating to Brazil, was born on this day in 1878 in Pisa. His early days were spent in a fishing village outside Pisa, but his father could find only low-paid work and moved the family to a different neighbourhood so he could take a job in a ceramics factory. It was there that Gino fell in with a gang of boys who regularly engaged in petty crime, stealing fruit or chickens or other objects of minimal worth. The young Meneghetti was arrested for the first time at 11 years of age. After teenage years spent largely thieving, he made an attempt to change his life, going back to the classroom to learn to be a mechanic and a locksmith. He found work and saved money, but then decided to move to Marseilles in France to live with an uncle, who owned a restaurant. It was not a wise move. Like most large commercial ports, there was a seamier side to Marseilles and Meneghetti again fell into bad company. His next arrest was for a more serious offence - illegal possession of weapons. Found guilty, he spent some time in prison before being deported to Italy. To avoid compulsory military service, Meneghetti feigned madness, an act so convincing he spent the next five years in various asylums. After eventually returning to normal society, he decided to emigrate to Brazil in 1913, knowing there were relatives in São Paulo who would put him up. Briefly, Meneghetti worked as a bricklayer. He also met and married the daughter, Concetta, of the owner of a restaurant he used to frequent, but it was not long before he was tempted to put the Brazilian police to the test. He broke into a gun store and stole many weapons, planning to sell them on the black market. In the event, he was caught quickly, sent to trial and, in 1914, sentenced to eight years in jail, with hard labour. But far from being the end of his criminal career his subsequent escape marked the beginning of the Meneghetti legend. Consigned to solitary confinement in a disused well, he managed to find a way out via a manhole, forced open the heavy iron cover and found himself emerging in a city street. He ran away and was able to find a hiding place far from the prison before it was noticed he had even gone. For the next few years, he lived a life on the run, assuming many identities and disguises, moving from city to city to stay ahead of the police. After stealing some jewellery in the city of Juiz de Fora he was caught in Rio de Janeiro but, falling back on his earlier ploy of pretending to be insane, he was confined to a hospital, from which he easily escaped. He made his way back to São Paulo, making his home in the district of Bixiga, an Italian community, with his wife and two children. Soon a series of high-profile burglaries, always committed at the homes of wealthy individuals in the swankiest part of the city, became a big story, with the newspapers convinced they were the work of the mysterious Meneghetti. Each robbery brought new headlines and the press began to portray Meneghetti as almost an heroic figure – “the good thief” – because he targeted only the wealthy and because he broke in to homes only when they were empty and therefore no one was ever hurt. But the pressure on the police to capture him only intensified. 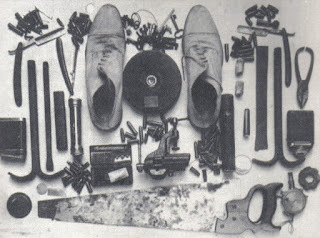 Eventually, in April 1926, they pinpointed his home in Bixiga and arrived to search the premises, where a stash of jewellery and weapons was found, only for Meneghetti to give them the slip. They arrested Concetta and put his children into care. He taunted police via a series of letters to the newspapers after they failed to find his new hiding place, in an apartment only a few minutes from the centre of São Paulo. Eventually, they set a trap for him, luring him to an address where he was tricked into believing he would be able to see his children. This time his jail sentence was 43 years. Meneghetti was blamed for the death of a senior police commander, who failed to recover from a gunshot would suffered during the siege, although the bullet that killed him did not match any of the weapons in Meneghetti’s possession. He was released after 19 years, yet was unrepentant, continuing to break into houses. Extraordinarily, he had passed his 90th birthday when, arrested again after climbing on to the roof of a house, he finally told a court he was calling it a day. Charges were dropped and he was released. Meneghetti died in 1976, aged almost 98. His life story has been the subject of numerous books and a documentary film. 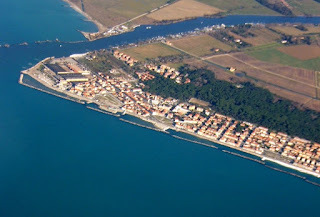 As well as the city with its famous Leaning Tower, the Pisa area can also offer tourists the attraction of Marina di Pisa, a seaside town located 12km (7 miles) from Pisa that began to develop in the early 17th century when Ferdinando I de’ Medici, Grand Duke of Tuscany, decided to move the mouth of the Arno river in a bid to reduce the effect of silting up, which he believed caused flooding in Pisa. On the left bank, a new customs building was erected and fishermen began to build houses around this structure. The official foundation of the town was in 1872. 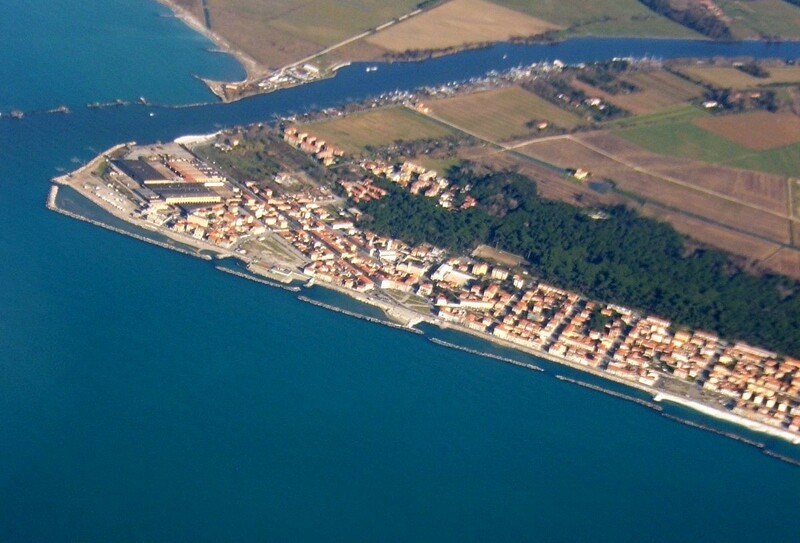 In June1892 a steam railway line from Pisa to the Marina was opened, contributing to its rapid growth as a tourist destination, which saw the opening of restaurants, hotels and beach resorts and the construction of many beautiful Art Nouveau and neo-medieval villas. 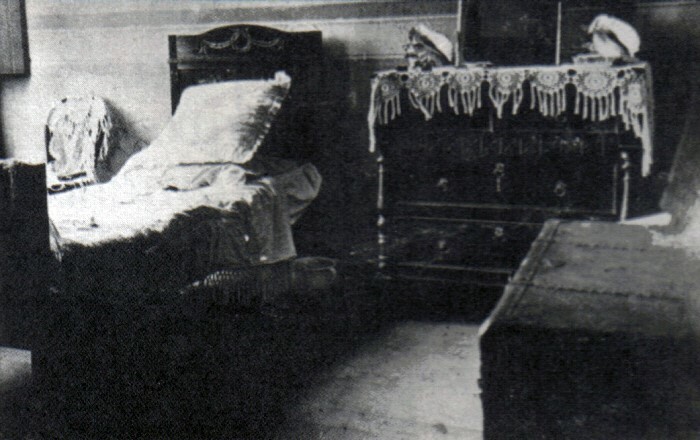 Many celebrities chose to buy a house there, including Gabriele D’Annunzio, the writer, poet and journalist. 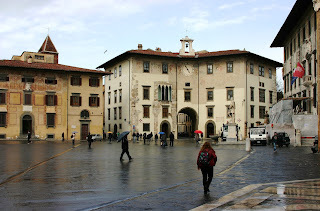 Although it was the world-famous Leaning Tower that undoubtedly put Pisa on the map, the city has much more to offer. The city centre has a wealth of well-preserved Romanesque buildings, Gothic churches and Renaissance piazzas and has a lively charm enhanced by the city’s reputation as a centre of education. The University of Pisa, founded in 1343, now has elite status, rivalling Rome’s Sapienza University as the best in Italy, and a student population of around 50,000 makes for a vibrant cafe and bar scene.